If you are teaching a child with ADHD, you know they learn just a bit differently. 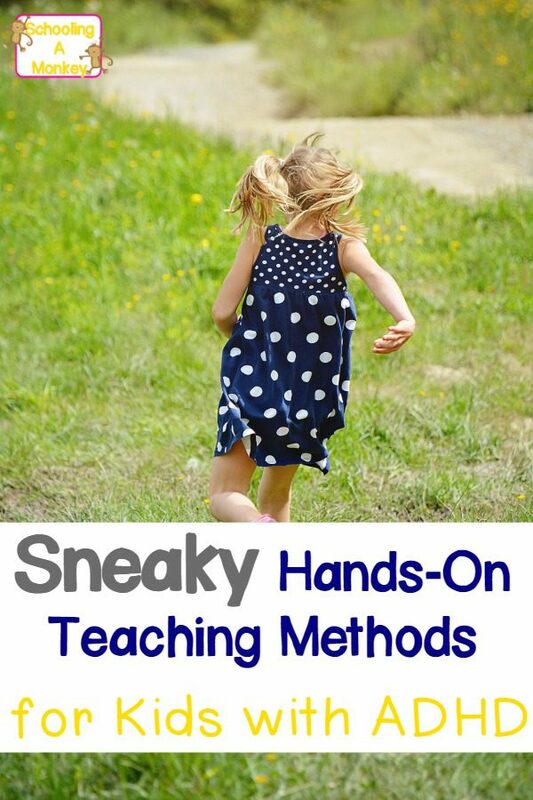 These hands-on teaching methods will inspire concept mastery in kids. Not every child with ADHD is a reluctant learner, but chidren with ADHD find focusing a challenge, which makes any task that requires focus harder. 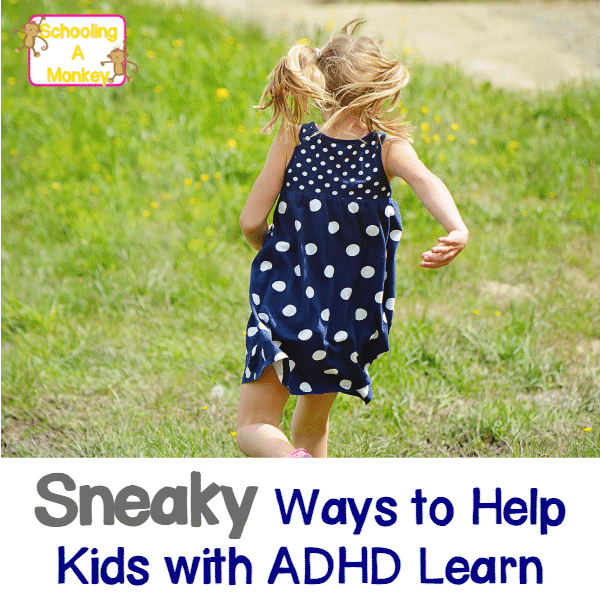 Traditional school tasks are difficult for kids with ADHD, and one of the biggest challenges of homeschooling ADHD is to find ways to teach children using hands-on teaching methods that speak to the ADHD child’s fractured focus. Growing up with ADHD in a houseful of other ADHD kids, we learned a lot when we were not sitting down at the school table. My siblings and I are old enough to have played quite a few text-based games, and you would not believe how much of my current typing, spelling, and grammar knowledge comes from these games. If you can’t spell properly, you certainly can’t play a text-based game! We had the advantage to be brought up pretty free-range in our homeschool years, which is definitely a huge benefit when you’re a person with ADHD. As a parent, I’ve taken what I remember being the most effective learning methods for me as an ADHD student and applied them to my own teaching style. Consistently over the years, these sneaky hands-on teaching methods have been the most effective for fostering long-term mastery of a concept in my ADHD child. 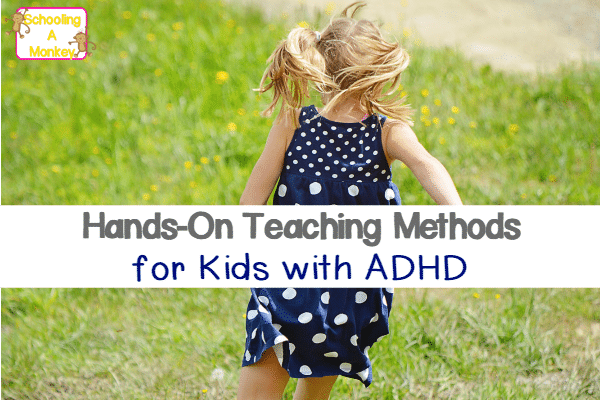 Try these hands-on teaching methods with ADHD kids and you might be surprised at how much better they learn! Games have incredible power as a teaching tool, especially if your kids are competitive like mine. They love being able to win, so any time we play a game with educational rules, Monkey is a lot more likely to remember the rules so she can dominate the game and win first place. We use a lot of games for memorizing math facts and other miscellaneous information that is useful, but difficult to remember when you’re working memory isn’t quite as good as most other people’s. Nothing is more boring to my ADHD daughter than to listen to someone drone on about a subject. So, we don’t do a lot of lecturing or straight reading from books. Instead, we take turns reading, watch online videos, or try to act out the subject material using manipulatives and other hands-on objects. Sometimes, we also try to make silly rhymes or songs about a subject to help master the concept. We try to include a hands-on project with every concept we learn (as often as possible). Our unit studies are all based around hands-on activities that can be done to learn more about a given topic. Most recently, we completed an airplane unit study where we learned about the history of flight and made clothespin airplanes. We have a section of hundreds of hands-on STEM activities that helped Monkey and Bo master STEM topics in a hands-on way. Monkey has one of the classic signs of ADHD in that she has less difficulty in focusing on things she loves. So, I always try to come up with references and points that align with her interests. We do a lot of seasonal-themed activities. Recently, Monkey expressed an interest in crystals and rocks, so a lot of our more recent activities have focused on crystals. You can either adjust what you are teaching to match what your children want to learn, or, if it is a subject they have to learn no matter what, try to create activities that align with their current interest. So, if your kids love dinosaurs, look for worksheet starring dinosaurs, allow them to write about dinosaurs, and use dinosaur-themed manipulatives in math. It takes a bit of creative thinking to get through to children with ADHD, but in the end, you will all have a lot more fun during school hours.